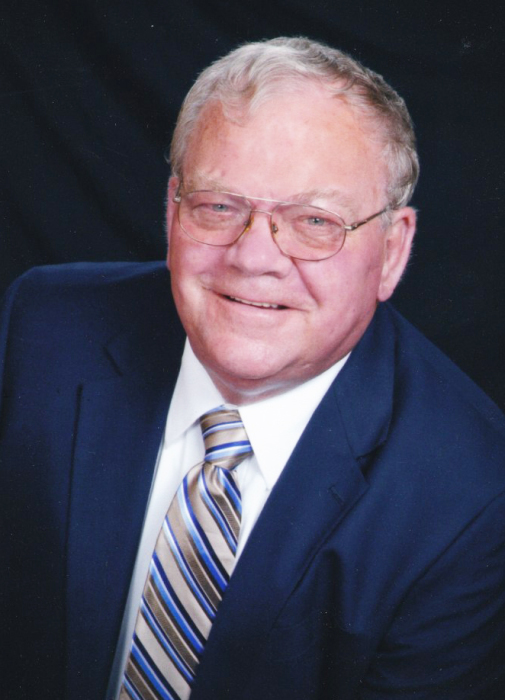 James Carl Schmidt, age 78, of Owatonna, passed away September 9, 2018 at St. Mary’s Hospital in Rochester. Friends may greet the family from 4-7:00 PM Tuesday, September 11, 2018 at the Brick Meger Funeral Home and one hour prior to the funeral at church. Memorial service will be 11:00 AM Wednesday, September 12, 2018 at Trinity Lutheran Church with internment at St. John Cemetery. Jim was born June 28, 1940, to parents Carl and Rose (Jirele) Schmidt in Owatonna. He graduated from Owatonna High School in 1957. He attended Milwaukee School of Engineering for two years and then attended the University of Minnesota for another two years. Jim joined the Navy Reserves in 1960 serving until 1964. He married Janice Kjos in 1962. Jim worked several sales jobs including insurance and heavy equipment. He owned and managed his own implement dealership from 76’- 83’ called Schmidt Equipment. He went into additional sales from Minneapolis Equipment and later United Rentals, retiring in 2003. He enjoyed traveling with his wife Jan all over the United States and many European countries. He restored old cars and was a leader of the local Car Nuts club. Jim volunteered as a driver for social service clients in Olmstead County, winning an award for driver of the year in July. His volunteerism included, Sertoma, Healthy Seniors, and Festival of Trees. His memberships included President of the congregation at Trinity Lutheran Church, Sunday School Superintendent, along with being involved with many committees at Trinity, American Legion and the NRA. He is survived by his wife, Jan; daughters, Jill (Paul Mummert) Schmidt, of Wabasha, Julie (Tom) Rabaey, LeSueur, grandchildren, Jayson, Justin and Megan, and one great-granddaughter Abriella, brothers, Dewey and Myron, step-brother, Hans Hohrman Jr. all of Owatonna. James was preceded in death by parents, and step-father Hans Hohrman Sr., one sister, Betty Reyant. In lieu of flowers memorials are preferred to Trinity Lutheran Church, Boys Town, and Owatonna Foundation.